Custom exhibits are among the most visible displays you will find at a tradeshow. The team at Skyline New Jersey utilizes some of the most creative minds to put together a custom exhibit for a company. We utilize a variety of different methods and layouts to enhance and capture the attention of a trade show floor. Our rental options and booth designs are an investment in your company. We make sure your brand is seen, heard, and experienced while placed out to the world. Your marketing message will not be lost in a custom exhibit, as our team stays on the cutting edge of design and booth displays to impact attendees towards your exhibit. Email us at info@skylinenj.com or give us a call at 800-878-5759 with your ideas and what you want to accomplish, and we will make it happen at your next event. We have a pedigree of success when it comes to custom exhibits. Our clients utilizing the branded event or environment bring a monumental experience to a trade show booth. Your brand takes on a life beyond the booth boundaries, standing above grid walls and smaller displays. A custom exhibit embodies your company’s purpose and message while absorbing attendees into what your brand stands for. 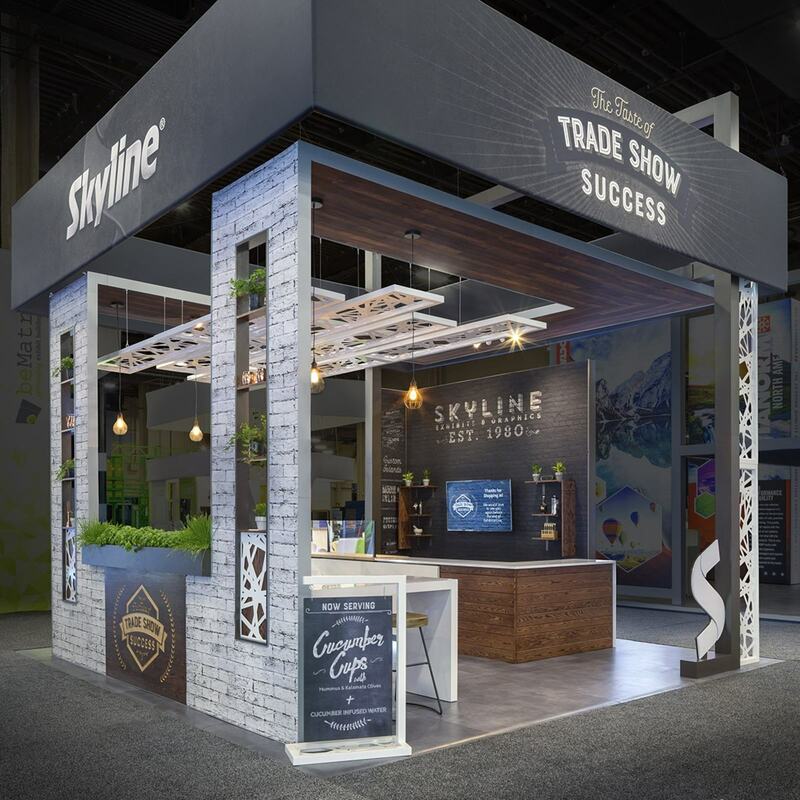 Skyline services not only provides you the booth, but we offer the means to transport, assemble, and maintain your display. Our modular designs make transportation and setup relatively easy, and our show staffers ensure that your booth will perform as designed and look as conceived, bringing the vision of your custom exhibit and your brand to grand dimensions. Skyline New Jersey custom exhibits will stand you above and apart from the rest. By reaching out to our team, you reinforce how important your business is to the world. Contact us today at 800-878-5759 or use the form on this page for your next booth exhibit.